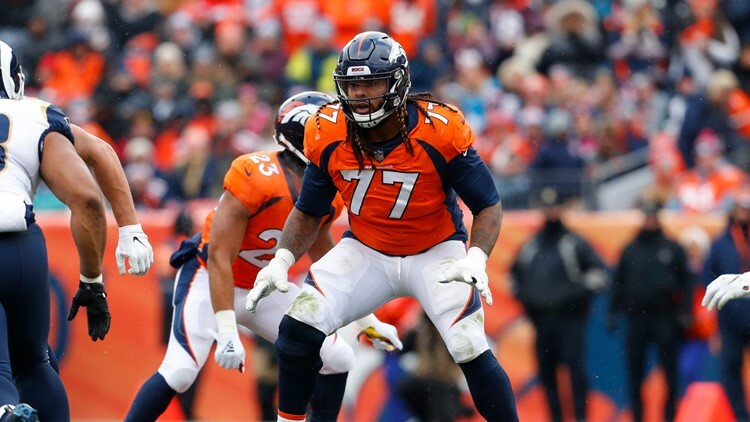 The Broncos hope to keep offensive lineman Billy Turner off the market by signing him to new deal. KUSA – There are 14 Bronco players who are less than three weeks away from entering the negotiating period as unrestricted free agents. This group includes two defensive starters (Bradley Roby, Domata Peko), three offensive starters (Jeff Heuerman, Matt Paradis, Jared Veldheer), six part-time starters/top subs (Billy Turner, Max Garcia, Shaq Barrett, Shane Ray, Tramaine Brock, Zach Kerr) and three who played little if at all (Gino Gradkowski, Jamar Taylor, Deiontrez Mount). The one player from this group the Broncos would like to sign before the free-agent negotiating window opens March 11? Billy Turner. The Broncos have been talking with the agent of their versatile offensive lineman in hopes of signing Turner to a new deal. It won’t be easy because, well, there is no injury risk from games or practices in the three weeks between now and free agency. Still, a few teams have been able to sign a player to a new deal in recent days and the Broncos would like to do the same with Turner. The team also had a recent conversation with the agent of center Matt Paradis, and another meeting is set up for the NFL Combine next week in Indianapolis. But all signs point towards Paradis hitting the free-agent market. And history shows once a player enters the market, the chances of returning to his original club diminish considerably. Turner was a 12-game starter for the Miami Dolphins in 2015, but his career hit adversity the following year when Adam Gase cut him in midseason. Turner, 27, bounced around and battled injuries until he found his blocking groove in 2018 with the Broncos. He played in five games as a backup offensive lineman last season, started four at right tackle, then seven more at left guard. All this on a one-year $2 million contract (he did earn another $750,000 in playing time bonus for a $2.75 million total payout). It’s called a make-good deal and Turner done good. He’ll make more in his next deal, but the tricky part is, how much more?